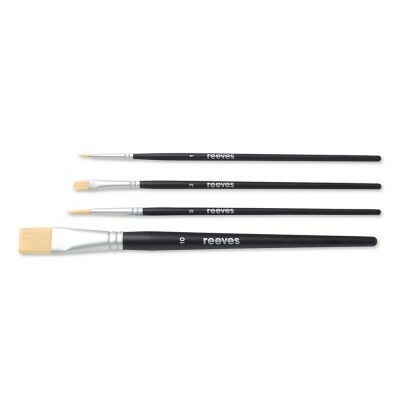 This set contains 4 short handled acrylic brushes by Reeves. 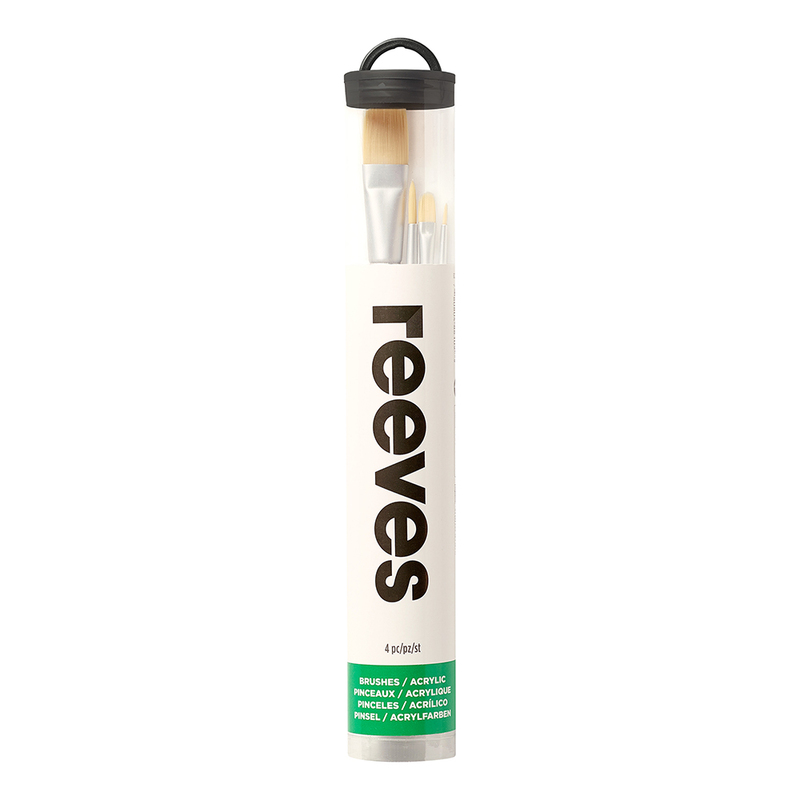 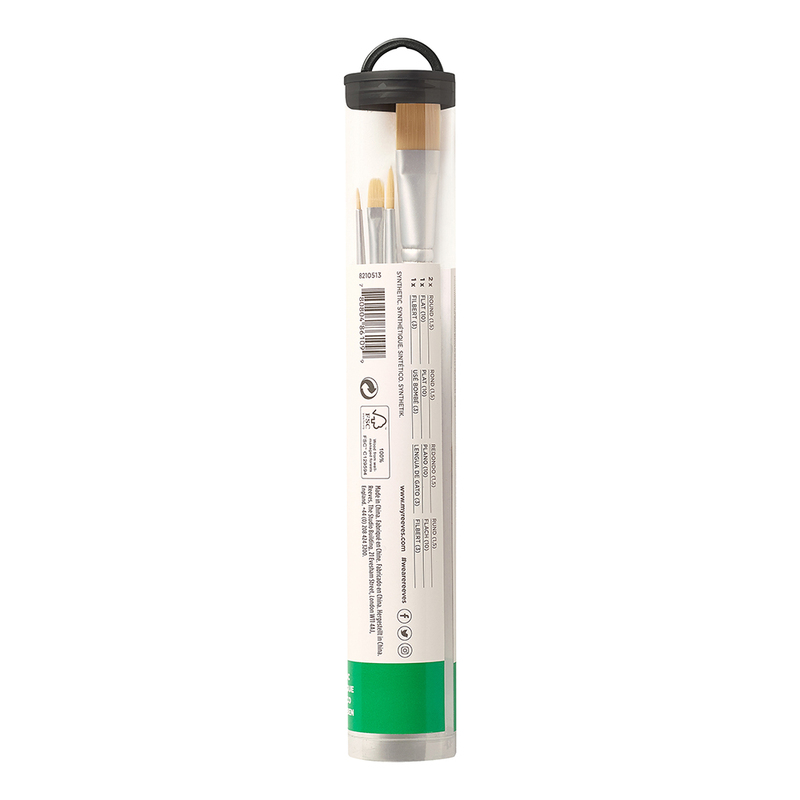 These essential art brushes are specially designed to work wonders with your chosen Reeves acrylic paint to give maximum control over line and weight. 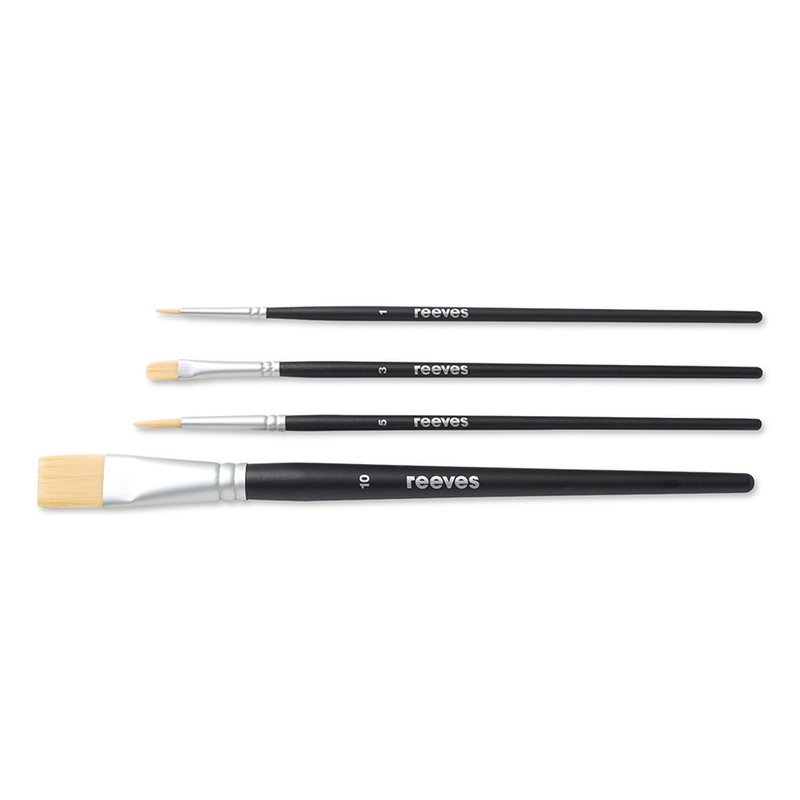 The set contains a good combination of round and flat brushes to help make every mark a stroke of genius.